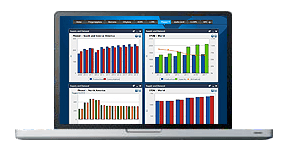 ICIS price reporting for regional Isocyanates markets is unparalleled in its ability to keep you on top of the information you need. Our network of price reporters delivers direct and regular insights into the local markets they work in. The European crude methyl di-p-phenylene isocyanate (MDI) market has had length in 2018 due to low demand year on year. This abundant availability does not apply for pure MDI, which is a structurally tight market and was low in quantity throughout the third quarter. Hungarian seller BorsodChem’s 260,000 tonne/year Kazincbarcika plant underwent a turnaround that began in July with an end date in September. This reduced MDI supply in general. Consumption was lower year on year for the Europe crude MDI market as higher pricing in 2017 drove end-users to alternative products. In response, demand stayed at lower levels than typical in the summer even though seasonally order book volumes rise in this period. Availability of crude MDI jumped partially in response to this low level of business and contract prices softened as well. The restart of German seller BASF’s Ludwigshafen toluene diisocyanate (TDI) plant in July gave a boost to availability. The 300,000 tonne/year facility was taken off line in January in preparation for a new reactor, which initially tightened the market. Partially as a result of this restart, supply was lengthier in the summer and particularly abundant in September as well. Contract prices dropped by triple digits in certain months in response. There was quieter demand year on year for European TDI as high pricing in 2017 and at the start of 2018 led to end users picking competing products such as spring mattresses. The summer is typically a lower season for the product with September onward seeing a boost as participants return from holidays. However, low consumption levels remained in September too. We offer the following regional Isocyanates coverage to keep you informed of factors and developments affecting prices in the Europe Isocyanates marketplace. 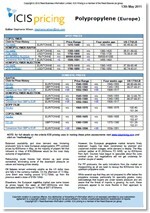 The ICIS European isocyanates report covers contract pricing, which is normally fixed for the month. Any quarterly contract information such as for crude Methyl di-p-phenylene isocyanate (MDI) or any spot business or price indications are included in the body of the text. The report contains official monthly price ranges for Toluene di-isocyanate (TDI) and MDI, covering both the crude and pure MDI grades. Pricing is assessed based on feedback from a cross-section of the market, including buyers, producers and resellers. The report is an important pricing tool for a number of players, who use a formula based pricing mechanism linked to ICIS. The report also includes graphs, when appropriate, to track isocyanate pricing against feedstock movements. It covers a wide variety of downstream sectors including the automotive, construction, footwear, bedding and furniture sectors. The report provides invaluable pricing and production information, which is useful for both buyers and sellers alike and helps them to make better informed business decisions. 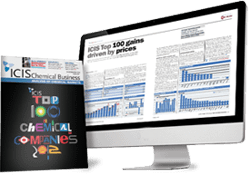 ICIS collects pricing data on a wide range of chemical, energy and fertilizer products, including Polyols. Our extensive experience in price reporting means we can offer you access to historical data dating back more than 20 years for certain commodities.